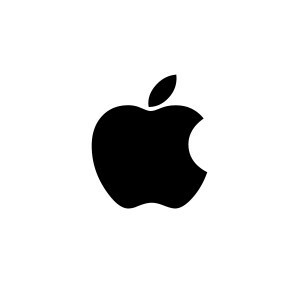 A recent Wall Street Journal article announced reports of Apple’s electric car development coming to fruition in 2019. Project Titan is responsible for the design and development of the car is reportedly going to increase their manpower for the job to 1,800 persons. This news comes after the addition of many car industry veterans to the Titan team, such as Tesla’s previous senior engineer, Jamie Carlson. Apple’s 2019 vehicle is not expected to be autonomous, but driver-less car experts are going to be working on the development of the car as well. What we can expect from this car is that it will reflect Apple’s extensive research into batteries, sensors, and design. As of now, there is no clear answer on what type of car (sedan, coupe, truck, mini van, etc.) the Apple car will be. With the coming of Apple’s electric car in 2019, we should expect the release of many other electric cars. Along with the familiar production of electric vehicles from Tesla, Nissan, and Toyota, companies like Porsche, Audi, and Chevrolet have some electric car projects in the works as well that we can expect to see in the near future. With Google and Apple’s emergence into the car industry, many car companies are worried that it will negatively affect business for them. Have you seen this video? – This is John Feinberg flying his drone. His work with Drones photos is as a community member is not affiliated with the SBU Innovation Lab or endorsed by the Lab. Since the campus is still working on a campus policy for Drone use on the Stony Brook Campus. John Feinberg, a member of the Stony Brook Innovation Lab team, has been flying a quadcopter equipped with a camera around Stony Brook University’s campus day and night for the past few weeks. Throughout his flights he compiled this unique bird’s eye perspective of the university. Shortly after he sent out his work, he began to receive responses from the Stony Brook University Medical Center, who shared photos of photos of construction of the new children’s hospital to their followers; the Computer Science Department retweeted photos of the new building;students began to post Feinberg’s content on YikYak and Reddit; and even the CEO and Founder of Shutterstock, Jon Oringer, who found his footage after it was tweeted by the executive director of alumni relations, made one of Feinberg’s tweets a “favorite.” The featured video has even made its way onto the university’s homepage! 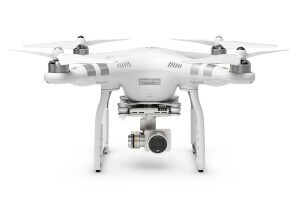 Feinberg uses a DJI Phantom 3 Advance drone to fly and capture his footage. The drone hovers at around 400 feet in the air. It’s camera has a direct connection to whatever device attached to the controller, such as an iPad or iPhone, by USB. A 720p video signal transmits back in real-time with very little latency so one can get proper exposure on the camera and flight data. In the future Feinberg plans to film various events on campus, such as the Homecoming football game, Roth Regatta and the change of seasons. So be on the look out! Although this is a hobby for John, he treats it as a profession and will be continuing to fly for years to come. We will forward to what footage his drone will bring Stony Brook University next! Ellie Evans – A student intern during the Summer of 2015 printed and assembled a Prosthetic Hand, using the Innovation Lab’s 3D printers. Ellie had the idea from e-Nable project. E-Nable project is a global network of volunteers using 3D printing to give helping hands to kids that don’t have one. Ellie is a Political Science major at the University of Rhode Island. 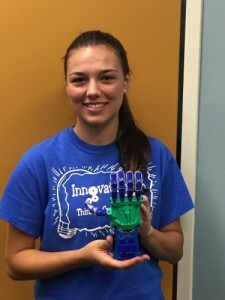 However, she became an intern at the SBU Innovation Lab after hearing about the various technologies in the facility that student’s have free access to. 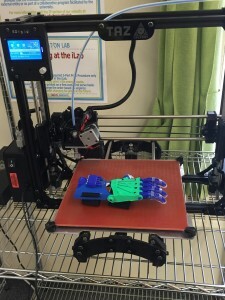 Ellie said that she learned everything from basics of how to use a 3D printer and filament, to the different printers it takes to print finer/bigger objects. While assembling the pieces she had to figure out how tension worked in a hand, as well as how the pieces fit together. 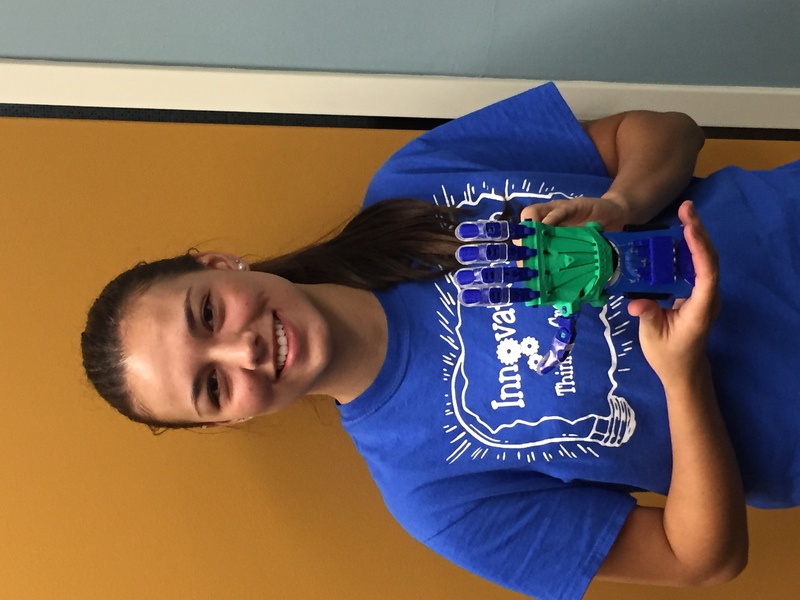 Ellie adapted the concept of “Tunnel Vision”, when working on long term projects that use 3D printers. Ellie describes “Tunnel Vision” as, when you know a piece is supposed to go together a certain way, but just don’t see why it isn’t work. 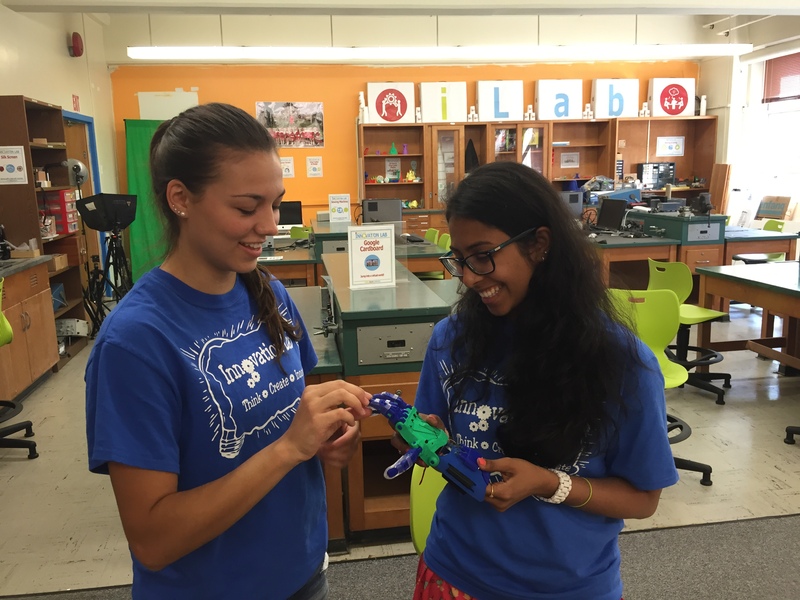 The project was difficult, but Ellie said that if it wasn’t for her great colleagues in the lab who were always available to lend a hand or to look at the project from a different perspective; this made her job a little easier. As this being the first prototype of this kind to being developed in the lab the team was excited to see the final project. This is one of the many projects that are challenging students and staff alike at the SBU Innovation Lab. Jorge Soto, a cancer technologist, tells the story of his own family struggles with cancer. 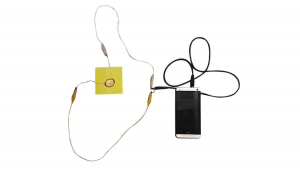 He is developing a simple, noninvasive and open-source test that looks for early signs of cancer. Soto explains that often the determination between life and death with cancer is ‘how early it is caught?’ The test is available on a mobile platform making it not only innovative but, accessible. At the end of the TED Talk, Soto debuts his working prototype for the first time. 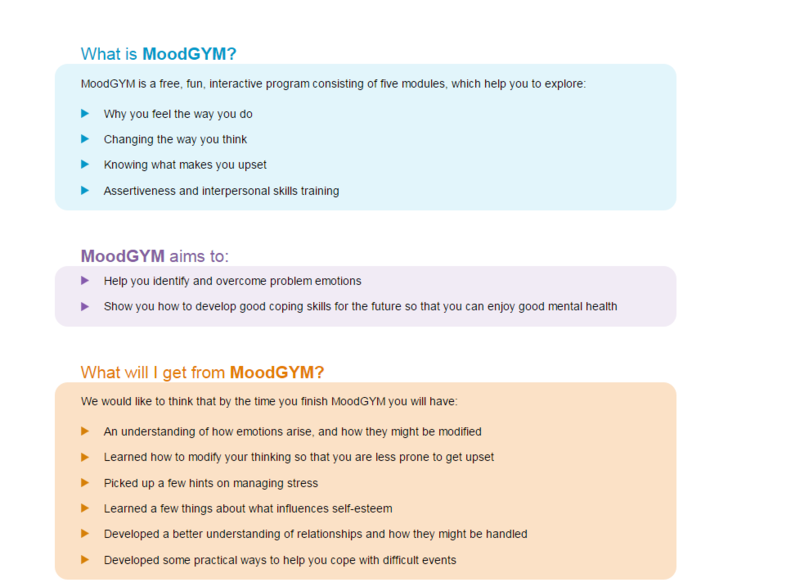 MoodGYM is an online interactive program that provides free mental help support. The website was started in Australia in 2004 as a trial to treat depression patients. Since then, it has crossed international barriers and is now offered in 6 languages. It has more than 800,000 people from 222 countries registered in its database. 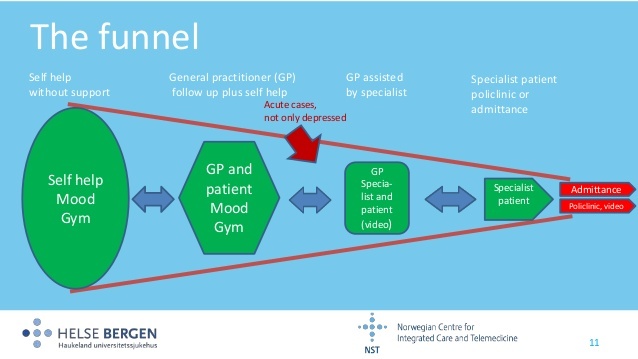 MoodGYM focuses on the process of cognitive therapy. It consists of five modules, an interactive game, anxiety and depression assessments, downloadable relaxation audio, a workbook and feedback assessment. It seeks to change the way the user thinks about themselves, battling both depression and anxiety. However, MoodGYM does not let user self diagnose themselves. A new user is put through a series of quizzes and exercises. Cognitive therapy has proved to work in face-to-face therapy and now it is proven to work through online interactions. Kathy Griffins from the Australia National University said that those who have used MoodGYM have reported to have done better in terms of depression, with a reduction in anxiety and even alcohol use. MoodGYM and other online therapy/mental health programs like it, is just another way technology is increasingly blending into the medical field. With growing technology, advances in medicine are constantly happening; however, this is especially important in mental health for two reasons. One being that the statistics of those suffering from mental health issues is a vast amount of a majority of people. The other being that most people who have mental health issues do not seek treatment, actually about a third of those do not, whether that be for costs or personal reasons. When MoodGYM first came out it was very controversial. Some thought, it was unethical and harmful. However, it has opened up the door for other programs to offer mental health support. This type of online therapy is innovative, mostly because it is creating convenience. People who are seeking support for mental health issues have less of an excuse to put off getting help. MoodGYM is also innovative because it is an online program that not only treats mental health issues but, a training program. It seeks to prevent mental health issues in youths. This is one of the first programs to build games and exercises that work the brain in a way to prevent any future mental issues. They do this by changing the way the user thinks about themselves and training the brain to recognizing toxic thoughts. Taken from the MoodGYM website. Read the New York Times Article about MoodGYM here. This tiny new Microsoft device has the power to fill the world around you with 3D holograms. The holograms are supposed to be convincing enough that the consumer would think they were real. 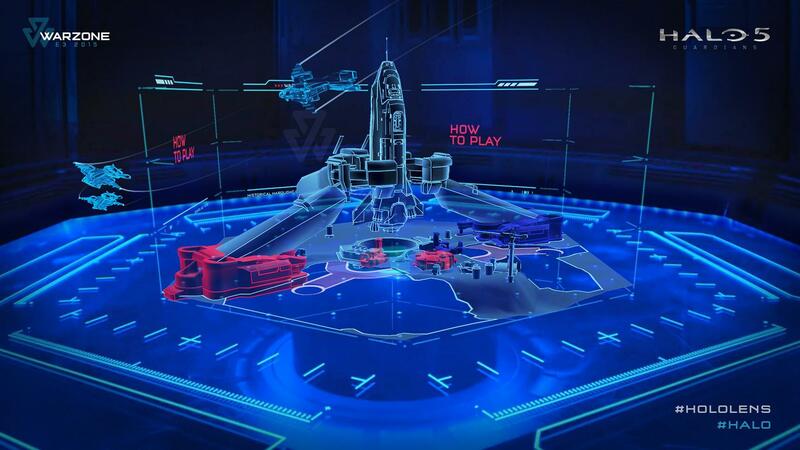 Recently, debuted at Electronic Entertainment Expo in Los Angeles, the Hololens has the power to revolutionize gaming and Virtual Reality. It is sleek and futuristic looking compared to it’s competitors like the Oculus Rift. General Motors CEO, Mary Barra, recently announced that 14 of Chevrolet’s 2016 model vehicles will be featuring Android Auto compatibility. This announcement was made during the Code conference held in Rancho Palos Verdes, California on Wednesday May 27th. This is exciting news because this will be the largest number of vehicles from any motor vehicle company to include Android Auto. Android Auto projects a customized version of a compatible Android smartphone onto the car display once the phone is connected to the car via USB. All phone calls are received through Bluetooth, allowing the use of mobile apps such as Google Maps and Google Play Music, along with third-party apps such as Pandora, while behind the wheel. Android Auto can be navigated with taps and swipes or through voice command. The inclusion of Android Auto in 14 of Chevrolet’s new vehicles is significant because it offers a safer and more effective alternative to texting while driving, or even attaching one’s phone to the windshield using a suction cup holder. Chevrolet is prepared for any mishaps or confusion with the new technology in their cars; they are creating a new, dedicated technical support staff designated to problems specifically dealing with Android Auto. So for all those who are looking for a safer way to use their phone as a tool for travel, 2016 will bring a whole new line of automobiles that comprehensively integrate cellphones with in-car technology and display. Google Cardboard is a new virtual reality device. Created by Google, it pairs with a Google App to help the viewer get a 3-D rendition of what they are viewing. The device was introduced at last year’s Google I/O conference. It provides the ability, as long as you are the owner of a smartphone, to do things such as viewing your pictures in 3D. 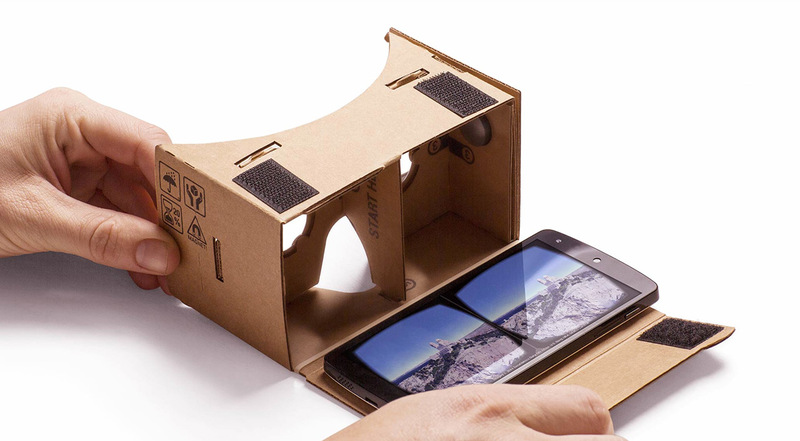 This year Google introduced a new update of the device, the second generation of the Cardboard VR viewer. 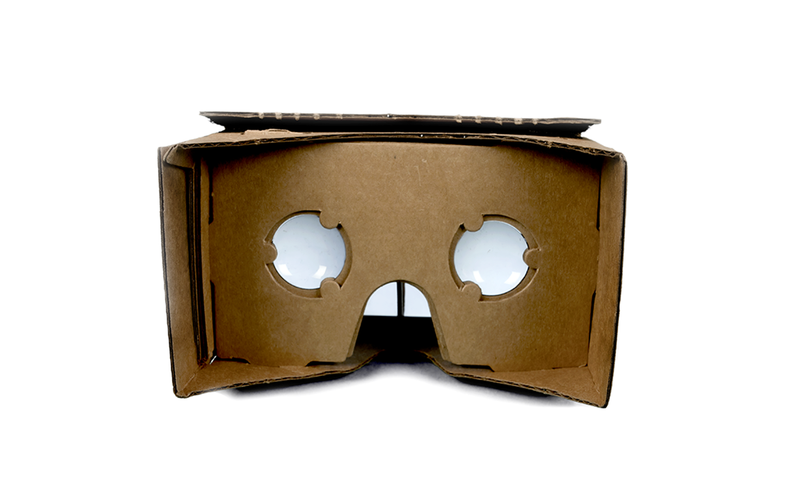 It is almost amusing that the Google Cardboard looks like a toy. It is the exact opposite of the highly anticipated Google Glass, released a few years ago. The device itself is actually made out of cardboard. It has plastic lenses that render the 3-D images and it only costs around $4. But, this is Google’s intention. Google Cardboard is simple, and can be used by anyone. 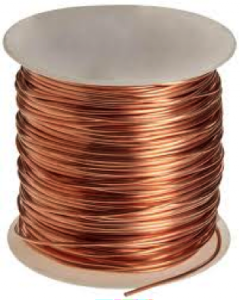 It does not scare off untechnical consumers with a clean cut tech look. David Coz, an engineer in Google’s Paris office who developed the Cardboard, said “We want the viewer to be as dumb as possible and as cheap as possible because we basically wanted to open VR for everyone.” Google’s mission is to expand virtual reality to all smartphones imaginable. The cardboard can be folded to fit up to any smartphone. Not only are they selling the Cardboard for cheap but, they are even offering a new software kit that makes it easy for app developers to make more VR applications. Because of the versatility of the Cardboard, Google is placing efforts in making it easy and accessible. 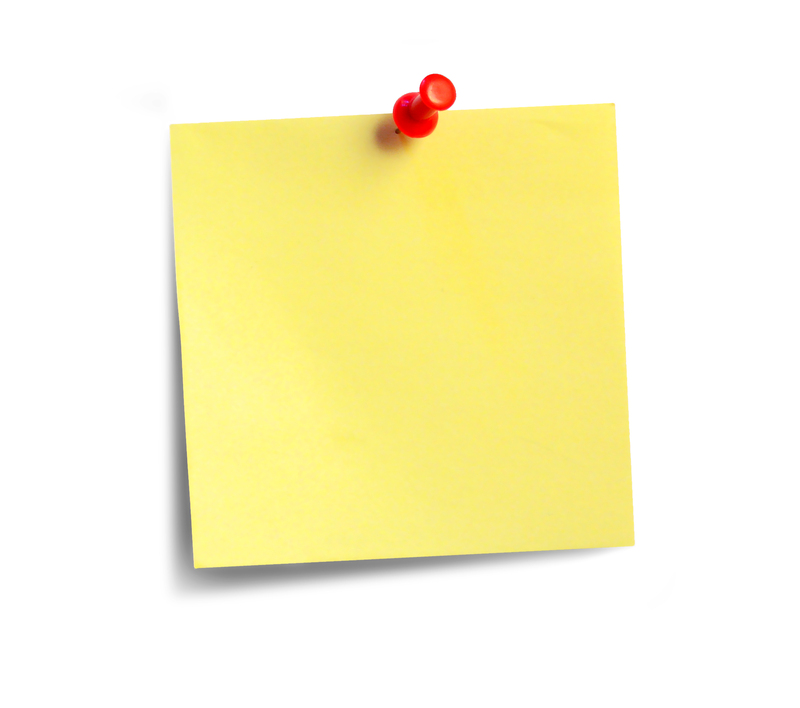 The mission is more to amass an audience than to make profits. The next step for Google Cardboard and VR are expansion and practicality. Google needs to expand by teaching the masses the real-word applications for Google Cardboard and VR. Google intends to tackle this first with entertainment. Google developed a 360-degree camera, called the Jump rig, that when it runs footage through Google’s software and processors; it will be turned into virtual reality. Google sparked a collaboration with GoPro for this. GoPro will begin to sell the rig with 16 GoPro cameras in the near future. Google said that YouTube, this summer, will start to allow the upload of virtual reality videos. Other companies such as Facebook, Sony and Microsoft are making big investments in VR. Mark Zuckerberg, Facebook’s chief executive, has said that VR will be the next computing platform.